This beautiful conversion is in the heart of the Roserrow development -a collection of houses grouped around a 12th century farmhouse. 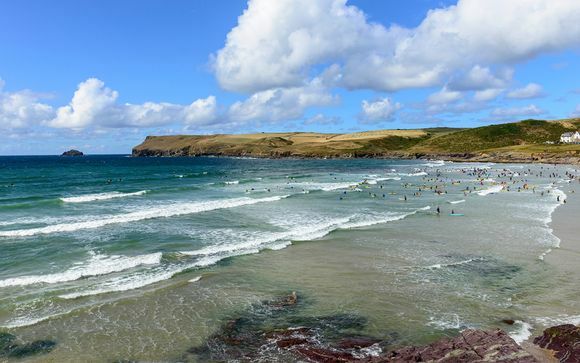 Walking distance from famous Polzeath beach and 'The Point at Polzeath', where you'll find a wealth of leisure activities including golf, tennis, swimming and spa. This 5 bed property features beautiful exposed beams, an open log fire and a balcony - ideal for barbecues in the summer months. With miles of stunning coastline, rolling moorland, protected heathland, enough beaches to visit one every day of the year, an exciting art scene and World Heritage Sites, Cornwall both on and off the water has endless possibilities for everyone who visits. 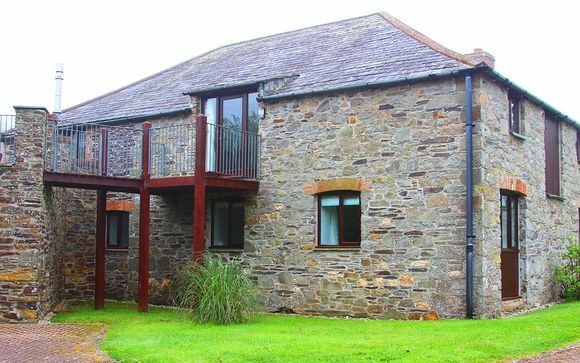 Your charming holiday home is situated within easy walking distance of the famous Polzeath beach (15 minutes.) With its vast expanse of sand and brilliant surf, watsersports is the most popular pastime here! There are two surf schools on the beach who offer equipment hire, lessons and practical beach-side advice. The family friendly beach at Daymer Bay is also just a mile further. You are also a 5 minute walk from The Point at Polzeath, where a wealth of leisure activities including golf, tennis, swimming and a spa will keep the whole family entertained, whatever the weather! 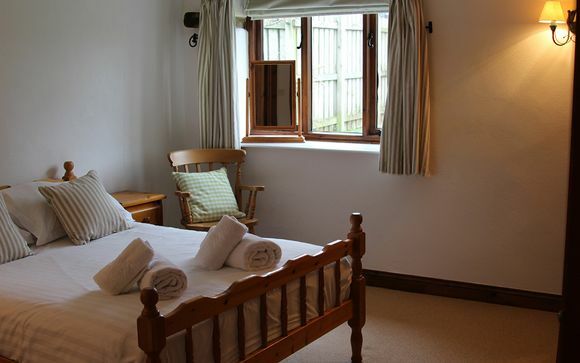 This offer is based on a 5 bed property for up to 10 adults. The Millhouse is a stunning property set in the heart of the Roserrow development - a quiet collection of houses grouped around a 12th century farmhouse. With stunning countryside views, a log fire and an aga this is the idyllic country getaway you've been searching for! As well as charming traditional features, you will find all the mod cons such as a dishwasher, coffee machine and TV. Upstairs the open plan sitting/dining room has beautiful exposed beams, an open fire and a balcony which is ideal for barbecues, overlooking the beautiful surrounds. This offer is based on a self-catering stay. The property features a modern, fully equipped kitchen so you can easily prepare all your meals. There are also numerous restaurants, cafes and pubs within walking distance if you fancy a night off cooking! Check in is at 4pm at the Trebetherick House, Please note that the Office closes at 17.30. If you are arriving out of office hours the key safe is in a white box situated on the far right hand outside wall of our office.